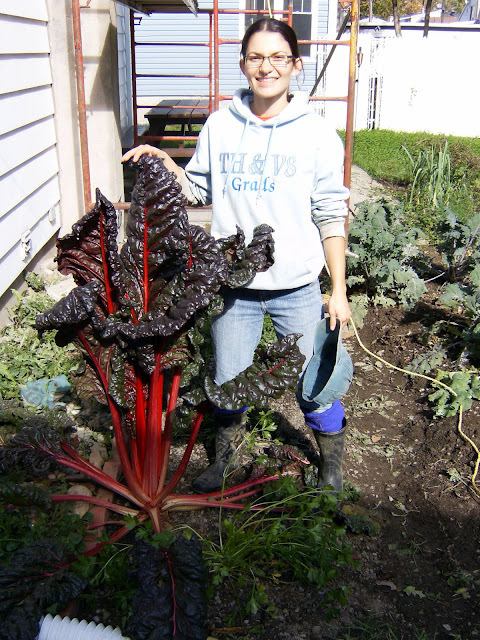 Check out how big this swiss chard has gotten! Lest you think space was the secret ingredient - it was growing in the midst of many other plants but I removed them (it being the end of season) and left this one until last to get a good photo. OMG, don't say that!! I first watched that film when I was 4 or 5 years old, and supposed to be sleeping. My babysitter was watching it and it SCARED THE CRAP OUT OF ME! To this day I have not watched it again...even though I'm told it's hilarious, it makes me remember how terrified I felt! haha. Do you recommend I watch it?